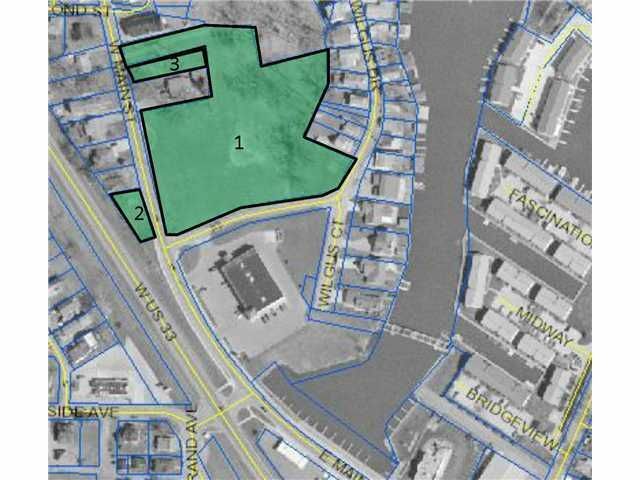 3+ Acres - commercial - located on Main St with visibility from US 33 in the heart of Russells Point and close to the harbor. Now even more accessible and/or desirable with the newly renovated historic Sandy Beach Bridge and new walking path. Commercial site consisting of three parcels with possible signage on smallest parcel providing great US 33 highway and Main St exposure. Great potential for dining, fast food, banking, or other businesses.